European Criminal Records Information System: What is ECRIS and how was it created? Pursuant to European Council’s Framework Decision 2009/315/JHA, the exchange of information extracted from Criminal Records is allowed also for purposes other than criminal proceedings. In Italy, the interested person or a delegate can apply to any local Criminal Records Office, i.e. in any Public Prosecutor’s Office, for general, criminal, or civil Records, either in person or by mail. Revenue stamp: € 16.00 each (1 stamp every 2 pages). In case of urgent application (delivery on the same day) there will be an additional cost of € 03.87. European Criminal Records Information System: What can you find out? European Criminal Records Information System: what is different after the introduction of ECRIS? Indeed, since there is no general archive, it is necessary to turn to the digital archives of each Member State, if one wants to collect records about non-EU citizens. The new ECRIS-TCN system, which will be managed by the European Agency for the operational management of large-scale IT Systems (EU-LISA), will allow, once established, to collect identity records about all non-EU citizens convicted in the EU. Further, pursuant to Art. 28b(3) of the Presidential Decree No. 313/2002, a Central Criminal Records Office will be responsible, upon request of another Member State, for providing European Criminal Records about Italian citizens. 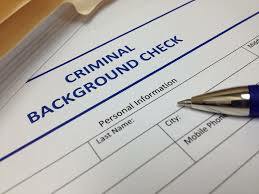 Whenever possible, we take care of criminal rehabilitation processes, starting the Criminal Records Deletion procedure.